Magnum Profi I Throwing Knife Set – Accurate & Precise! 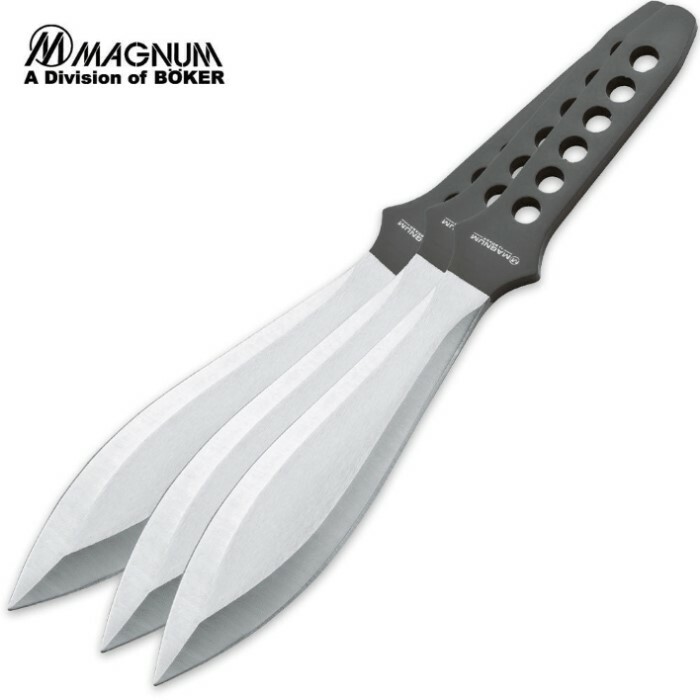 Designed with professional throwers in mind, the Magnum Profi I throwing knife set is extremely reliable and accurate. The Magnum Profi I set is great for amateurs and professionals. Constructed of 420 stainless steel, each thrower is well balanced for an accurate throw everytime. Includes sheath.